As Wood expands its reach in the Middle East, the company is building its workforce to develop local employees and increase in-country value. With more than 3000 people working across the Middle East in countries such as Iraq, Oman, Kuwait and the United Arab Emirates, Wood is committed to supporting long-term national development visions and economic diversification. This includes implementing educational and development programmes, engaging with universities and professional bodies, and fostering young talent. The company runs a number of initiatives to develop local capabilities including seconding employees to locations worldwide providing career opportunities and a chance to acquire new skills and broaden horizons. In Saudi Arabia, Wood has entered into a Memorandum of Understanding (MoU) with Saudi Aramco, signalling its continued commitment to accelerating opportunities for the local workforce. The MoU supports Saudi Aramco’s In-Kingdom Total Value Add initiative, part of its Vision 2030 plan, focused on strengthening and diversifying the country’s economy through the localisation of key manufacturing and service industries, and the creation of new jobs for talented young Saudi citizens. Another key initiative in the region is the Engineer Your Future (EYF) programme, established to build a proactive learning culture and focus on the development of employees by identifying what skills, knowledge and experience individuals need to progress along their chosen career path. The programme’s framework consists of four elements: leadership and business skills, a global early careers network, technical competency development and social responsibility. As part of the framework, members of EYF take part in a range of development activities including training and eLearning modules, attending seminars from management and sessions with an assigned mentor. Employees can also be seconded to different Wood locations worldwide to acquire new skills, experience and broaden horizons. To date, EYF has been rolled out across the company’s operations in Iraq and Dubai and includes engineers, human resources and other business professionals. 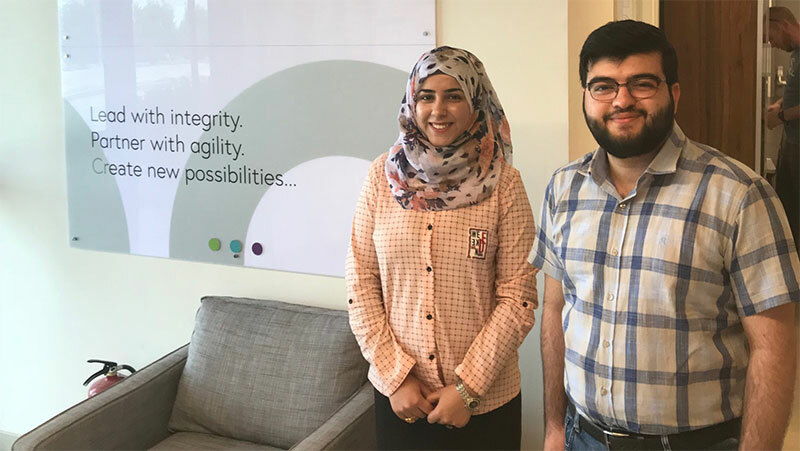 Two Iraqi graduates who recently enrolled in the programme are Osama Maheed and Ayat Al-Hajim. The pair joined Wood in October 2017 as junior engineers supporting a key contract in-country from the company’s base in Basra. Ayat said: “The EYF programme has provided a platform to accelerate my professional growth, develop my career goals and gain knowledge and exposure to become a leader in my chosen field. Ayat and Osama are joined by Parvathy Sathyaprakasan, a graduate process engineer based in Dubai. As a member of EYF, Parvathy has attended engineering safety training and risk management sessions applying new skills and strategic thinking in her day-to-day activities. She comments: “The most important aspect of the programme is that it allows me to contribute to real engineering and design work whilst developing my business and management skills. To find out more about graduate opportunities at Wood, please visit www.woodplc.com/careers/early-careers.